Provide a team of paid search consultants to work in partnership with Custard to service all their PPC accounts and keep clients happy. Glowworm joined forces with Custard back in August 2015 and since then have been providing a fully outsourced PPC department managing over 10 clients including premier league football clubs and international sports retail brands. We were asked to provide bespoke PPC services for one off campaigns and monthly management of selected clients. I was particularly impressed with how the consultants had knowledge of other areas of digital marketing allowing us to be more creative in how we used paid". Square Owl were referred to us and were looking for training and support of junior staff members in order to build a paid search offering within their agency. 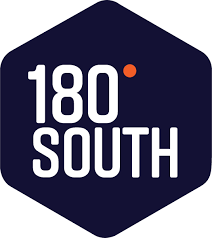 180South are an independent digital agency with a focus on combining the latest in technology with high-end digital communications and asked us to provide PPC management for a well know high end furniture retailer. A Complete restructure of the current paid search campaign introducing granular ad groups and long tail keywords with a blend of google shopping to decrease cost and increase quality of traffic and conversion rate. “Sophie is a must hire if you're looking for a devoted, enthusiastic lead on your PPC campaigns. Her considered approach and process leads to outstanding results. Her knowledge of PPC and how it adapts to different sectors is outstanding. In the first month of the campaign rework we saw an increase of 333% using 50% of the budget. On top of that you are dealing with some of the nicest people you could meet”.